A 16th century coaching inn which oozes traditional British charm, where you can sip a pint of real ale by the roaring fire - dogs and muddy wellies welcome! 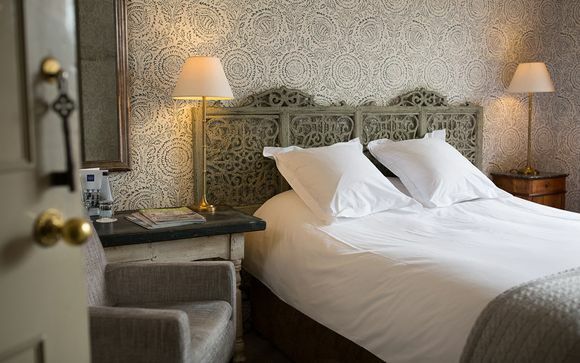 Our members may choose from two elegantly designed rooms - in the main house or the converted stables. The award winning restaurant is a real highlight here, so foodies should opt for our Half Board deal. Pickering is a charming market town known as the ‘Gateway to the Moors’ , offering plenty of opportunity to explore. 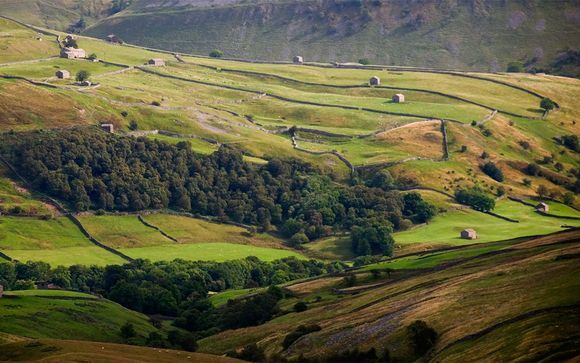 The rugged countryside is haven for outdoorsy types who can hike, ride or shoot amongst breathtaking scenery. Step back in time and take a ride on steam train on the lovingly restored North Yorkshire Moors Railway, or soak up Norman history at Pickering Castle. The historic city of York is well worth a visit, renowned for its inspiring Gothic architecture and labyrinthine cobbled streets. The seaside is also nearby -Whitby is only a 30 minute drive away, a lovely spot for a day out in the warmer months. 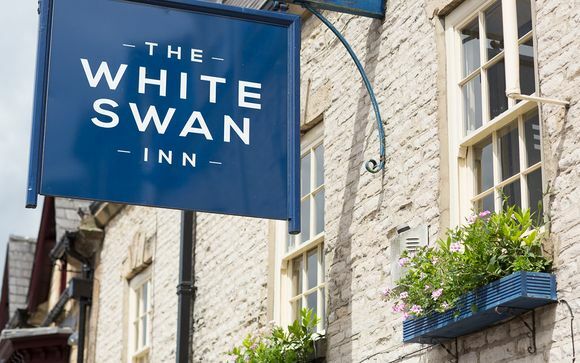 Entering the White Swan, owned by the Buchanan family, a small, wooden bar selling Black Sheep ale from Masham is the first indication that you have struck gold. Seating 10 maximum, it is the definition of cosiness. More than a pub with rooms, this charming property offers everything you could want for a cosy countryside escape - great food, a roaring fire, and bucketloads of character. 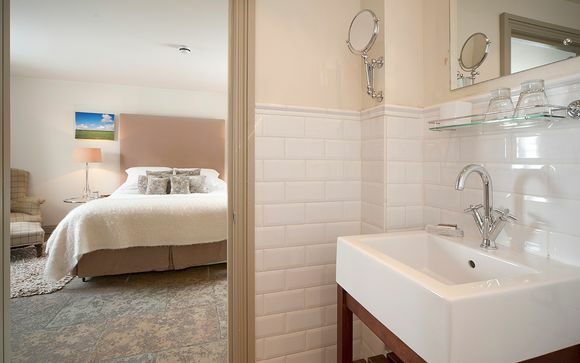 The 21 bedrooms are spread between the main house and the converted stables - each of them is individually designed, but all are elegantly decorated, with thoughtful touches like luxury white bathrobes and underfloor heating. The restaurant is a real highlight, focusing on local ingredients from trusted suppliers such as the famous Ginger Pig butchers. You can also grab a bite to eat in the lounge bar- ideal if you're travelling with a dog or children and don't want a formal dinner in the restaurant. You may choose from a Vintage Room or a Hideaway Room. Located in the main house, these rooms are cosy, warm and welcoming. They have an ensuite bathroom with over-bath shower. Located in the converted stables, these more spacious rooms have extra touches of luxury such as stone floors with under floor heating. They have all the same amenities as above. Enjoy delicious hearty dishes at the 2 AA rosette restaurant, made using seasonal local ingredients. The chef's focus on bringing the best possible produce to your table with a minimum of food miles. 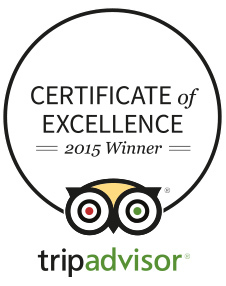 Expect dishes such as baked goats cheese, roasted seatrout and Whitby fishcakes. All the accompaniments are homemade too, from the bread at breakfast to the ice cream for dessert! After dinner, retreat to the cosy bar which serves real Yorkshire Ales beside a roaring log fire. Pickering is approximately 200 miles from London and can be reached via the M1 or A1, then A64 and A169. Pickering is served by the Transpennine Services via the Railway Station at Malton. York station provides the link with the main line services. In less than two hours visitors can reach York from London and then it is only a 20 minute journey from York to Malton. A direct train service also operates between Manchester Airport and Malton. The respective fares are approximately £40 and £20, and the distances to Pickering around 28 and 8 miles.